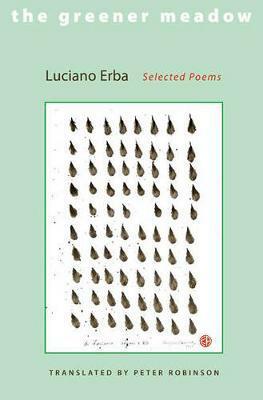 Luciano Erba's poems discover in the details of everyday life - a cream-colored tie, an old book, a swallow - access to far-reaching mysteries, including the fact of our being here at all. One of Italy's most important contemporary poets, Erba is approachable yet complex, distinctively and artfully combining traditional and informal means in his brief lyrics. He turns a cool eye on the passing scene, allowing us to see life in a new light. This bilingual edition contains the most comprehensive and representative selection of Erba's poetry ever published in English. Distinguished British poet and translator Peter Robinson, working with the encouragement and advice of the author, has rendered accurate and elegant English translations of the facing-page Italian originals. Complete with a preface, introduction, and notes, this is an ideal introduction to a unique and compelling modern Italian poet. Luciano Erba was born in Milan in 1922 and is the author of numerous books of poetry and a short-story collection. Peter Robinson is a renowned British poet, translator, and critic whose books include "Twentieth Century Poetry: Selves and Situations" and a forthcoming collection of interviews, "Talk about Poetry: Conversations on the Art".